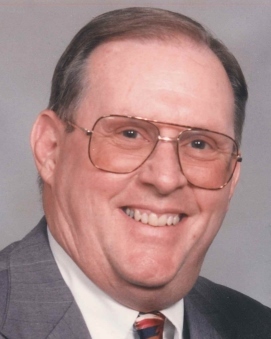 James C. Maxwell, 81, of Duncan, Oklahoma passed away April 8, 2019 at Country Club Care. A memorial service will be held 2:00pm Saturday April 13 at the Don Grantham Funeral Chapel, Duncan, with the Rev. Tracy L. Wilson officiating. James "Jim" was born Feb. 14, 1938 in Bristow, Oklahoma to Faustina and Clifton Maxwell. He married Joyce Ann Moyer on Jan. 2, 1965 in Duncan. She preceded him in death on June 27, 1994. Jim served in the United States Army from 1961 to 1964, stationed in Japan during the term of his enlistment. He attended Oklahoma A&M and graduated from Central State University in Edmond, OK, earning a bachelor's degree. He worked as the Clinic Administrator at the Lindley Clinic in Duncan, retiring in the early 1990's. Jim was a member of Kiwanis, the OSU Alumni Association and a lifetime member of Sigma Alpha Epsilon fraternity. Survivors include his daughter, Laura Wiseman and husband Brent and grandson, Brannon Wiseman, all of Concord, NC; a sister, Joyce Stewart of Shawnee, OK; and cousin, Mike Maxwell and wife Cheryl of Oklahoma City, OK.
Jim was married to Joyce for 29 years. He was a loving husband and father. He was an especially devoted grandfather to his one and only grandson, Brannon. Per his request, Jim was cremated and will be buried in a "Maxwell House" coffee can. Cremation arrangements under the care of Don Grantham Funeral Home. In lieu of flowers, the family asks that you make a donation to the American Cancer Society, which was dear to Jim’s heart.